Like everything else you put out....it looks VERY professional Dan! Just another outstanding option to an already OUTSTANDING piece of American ingenuity!! Way to go Dan!! 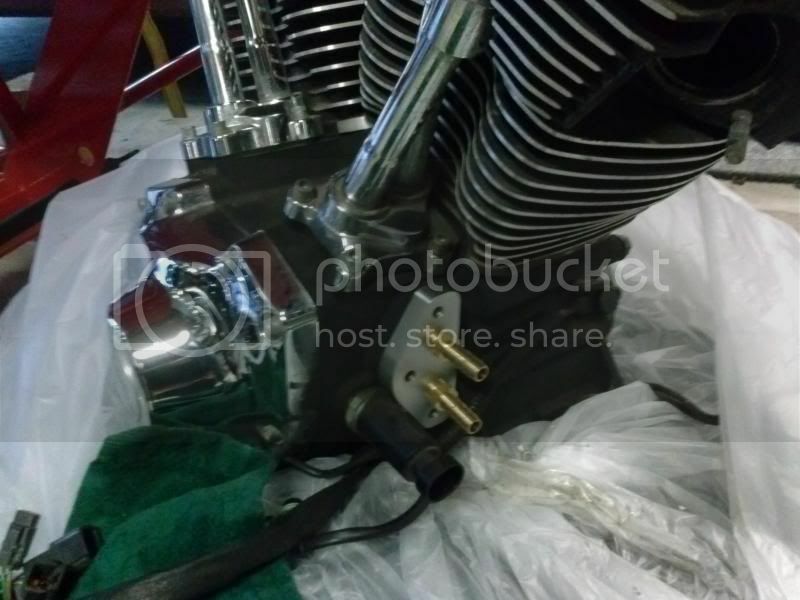 awesome....I know there has been several posts in the past with pictures of the filter relocation kit mounted on bikes, but do you have a picture for this post so those new to the site can see this great product in action? I haven't seen it mounted on the down tubes (or more likely - I don't remember that I had). Thanks for the kind words, fellas. I try real hard to make everything as nice as I can without causing the prices to get all stupid. We tried a few different powders and the powder coaters even tried a couple of different processes in order to get the stuff to where I'm happy with it. I'm especially happy that the powder coating outfit is another "Mom N' Pop" family owned business. They're fairly good-sized, with a couple of ovens that would each fit a semi tractor inside, but they still have the Mom N' Pop mentality. If anybody in this area needs anything coated, I would definitely recommend them. The name of the place is Precision Powder Coating and they're in Crystal Lake IL. Call Bob at (815) 455-6612. Okay, now we're on to the other pics that I promised. 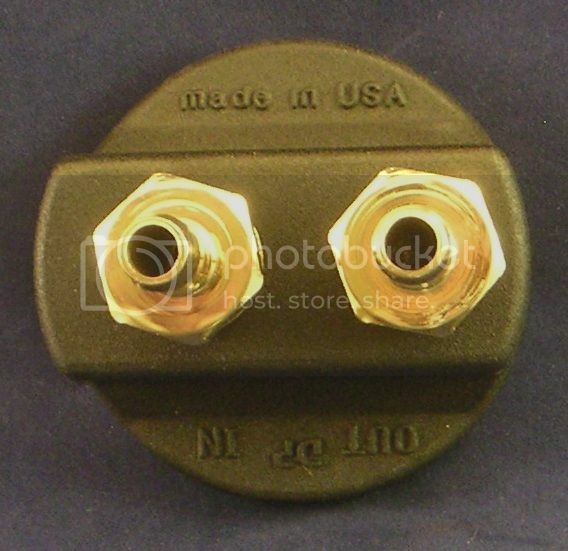 First up is our SA1 spin-on adapter. In black, the part number will simply be SA1-B. For those that aren't familiar with my stuff, this is the piece that spins on in place of your stock oil filter and allows you to run the hoses out to the remote oil filter. 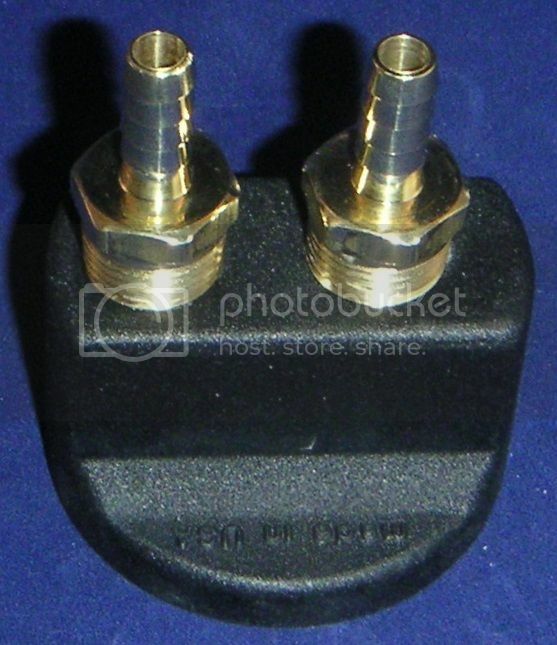 Next up is our DB1 direct to block adapter, aka the Garcia mount. In black, the part number will be (you guessed it!) DB1-B. 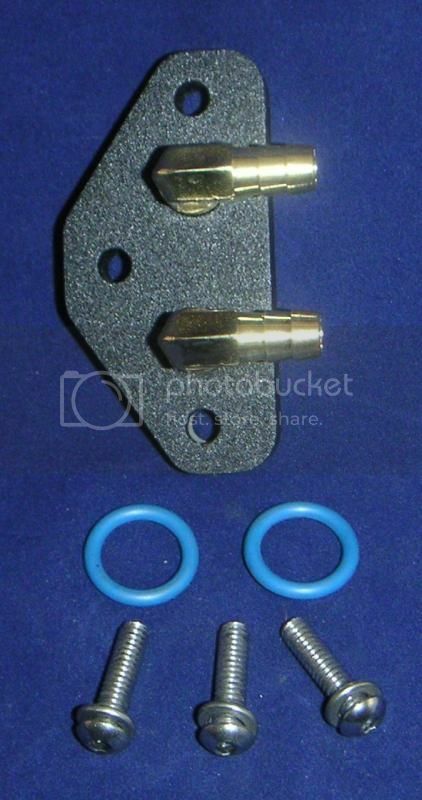 If you have a Twin Cam "A" engine from '99-'06, you can completely remove the factory oil filter mount and use this piece instead to really clean up the area at the front of the engine. Below is a DB1 in raw finish mounted on an engine. This one has straight fittings in it but we're going to supply it with 90° fittings as shown in the pics above so that the hoses are heading towards the remote filter. 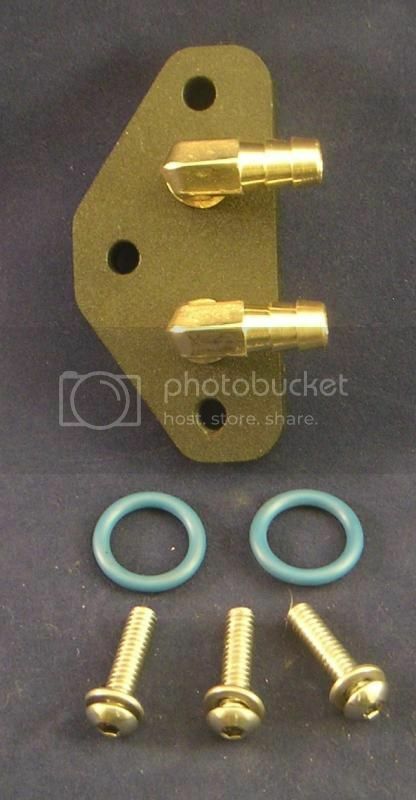 It will also come with stainless mounting hardware and Viton® o-rings as shown above. O-ring color may vary as I have them in black as well as blue, but they will definitely be Viton®. Put an absolute END to the mess when changing your oil filter! We offer the membership here substantial discounts on all of our products. You can check them out on our website but if you're interested in buying, don't do it there. Send me a PM or an email instead so that I can make sure you get the proper pricing. Thanks! Sadly, I do not. Nobody has ever sent me pics of the clamp-on piece in use even though I've sold a whole lot of them. Most of the clamp-on units end up on custom choppers and bobbers, although I know that a few of them have gone on the down-tubes of touring bikes. I personally am not a fan of the practice. On the touring bikes I much prefer the purpose-built part that mounts the filter back by the left passenger footboard. Some guys get a little worried about the 8' of hose (4' out and 4' back), afraid that they'll lose oil pressure. It doesn't happen like that. The Gerotor type oil pump in our bikes is what's known as a positive displacement pump. This means that unless that pump is physically broken, it is going to pump x amount of oil with every revolution. That pump doesn't care if there's a foot of hose or a mile of hose. It is going to pump the same amount of oil with every spin. Now technically speaking, wherever there is flow there must also be pressure drop due to friction. That's technically speaking. In real-world operation, with these pumps in this application, whatever drop must technically be there is so small as to be literally immeasurable. In order to quiet one particularly loud skeptic, I actually plumbed an entire roll of hose between the engine and the remote filter on my personal bike and even added a mechanical gauge to go along with the stock electronic gauge. I took separate readings with the mechanical gauge before the filter, like the factory gauge reads, and with the mechanical gauge after the filter. I also took readings with the normal amount of hose that I use before I took them with the full roll of hose plumbed in. Even with all that extra hose inline, there was still no measurable drop in pressure on either gauge. One thing that pleasantly surprised me was how accurate the factory electronic gauge was. It was dead-nuts with the mechanical gauge.